The chill of winter is in the air, but there’s no reason to stop enjoying your pool. Backyard entertaining can be a sparkling, crisp joy, no matter how many guests decide to take a dip. We have a few tips for making the most of your pool this holiday season. From water temperature to foods you serve, turning up the heat is the way to go. We highly recommend adding a water heater to your pool to make the water all the more appealing. Have party guests bring fluffy robes and towels to wrap up in after a soothing swim (or an active game of Marco Polo). Capture the warmth of your good company with comfort foods like chili, spicy stews, and grilled pizza. Keep the lights aglow with twinkling strands of lights, torches, kitchy patio lights. And don’t forget fireside features like chimineas, propane heaters, firepits, and open grills. The best present of all? We all know that time with those near and dear to us is the best gift, but a close second is the gift of a new pool. What better gift can you give? A pool brings family and friends together on a regular basis, gives us a refuge from daily stresses, and keeps us young and active. 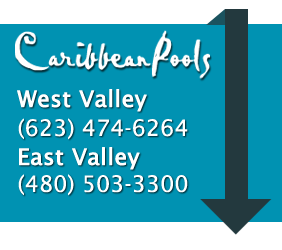 Call us today for more information on pool heaters, how to give a pool as a gift, or with any other pool building questions you may have. Have a safe, beautiful, and sparkling holiday season!